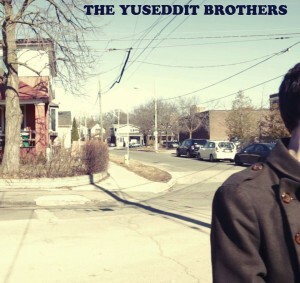 The Yuseddit Brothers, a play on the phrase “you said it, brothers,” is the new vehicle for Toronto musician Shane Campbell. Campbell, who plays drums in Meeko Cheech, takes on all the instrumental, vocal, engineering and mixing duties with The Yuseddit Brothers. “Metronome” is a fuzzy, woolly tune, full of softly searing guitars and thundering bass tones. The overall feel is decidedly vintage, and in some ways lo-fi in the sense that all the tunes instruments seem to bleed and rub warmly against one another. The gigantic drums sit perfectly in the pocket and act as the glue that holds “Metronome” together, propelling the tune from the drowsy vocals of the verse to the harmonized falsetto lines in the chorus. To date, “Metronome” is the sole track from The Yuseddit Brothers, but as Campbell recently told Impose Magazine, an EP is forthcoming. Until then, Campbell, with the release of “Metronome,” just wants you to know that “there’s a new beast in town…a gnarly beast.” Can’t argue with that.